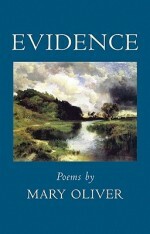 Mary Oliver’s new collection of poetry, Evidence, continues her exuberant engagement with the natural world. 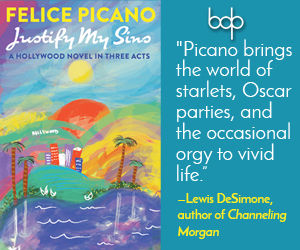 Lovers of her poetry will be satisfied deeply by this collection. Although it lacks the consistency of earlier collections, particularly Twelve Moons, the Pulitzer Prize-winning American Primitive, and Dream Work, Evidence delivers keenly observed poems of the beautiful and the sublime in nature. Two things emerge in Evidence that are emblematic of Oliver’s recent work: a whiff of politics and the continued grappling with religion and mortality. with the cleverness of our times. the news is all about bombs and blood. The poem concludes after an encounter with “four warm, speckled eggs” when the speaker feels “something more wonderful/than all the electricity of New York City.” Oliver contrasts the natural world with the human world and finds the human world lacking. This is not a new theme, but her tone and address are more direct, more urgent. crying out: “The house of money is falling! rising! The weeds are rising! Oliver’s political message is related intimately with the natural world, here the rising of the weeds, but her intentions to speak about the world of money and the economy, the political world, are clear as well. This is a new direction in Oliver’s work, one I appreciate and read with interest. Oliver’s religion is present in this collection but there are more trees and geese and mockingbirds than deities or orthodoxies. Oliver’s first book of poetry, No Voyages and Other Poems, published in 1965, was received with great interest by Barbara Grier and other lesbian critics in The Ladder, the newsletter of the Daughters of Bilitis. Grier, using the nom de plume Gene Damon, described Oliver’s poems as having “fire and vigor” as well as “technical virtuosity.” Another review likened Oliver’s first book to Edna St. Vincent Millay though said that Oliver had “a fresh, tangy, modern tone” and was a poet “we will hear more from. . .and it will be worth listening to.” These readers knew that Oliver was an important poet – and that her work was filled with Sapphic undertones. 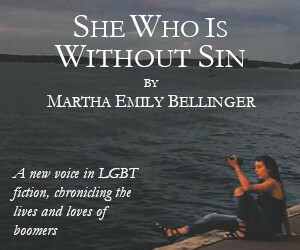 Nearly forty years would pass before Oliver would write openly about being a lesbian, and, when she did, the revolution of gay and lesbian liberation had created a society in which Oliver’s openness would not diminish her large following of readers or her wide-spread popularity. Although there is little in Evidence to suggest that the moniker ‘lesbian poet’ should be used to describe Oliver, her popularity as a poet and her ability to draw new audiences makes me insist on reading her as Mary Oliver, lesbian poet. In Evidence, it is pleasurable reading. JULIE R. ENSZER is a poet and writer based in University Park, MD. You can read more of her work at www.julierenszer.com. I just read Evidence by Oliver and appreciated her unflinching inscriptions of aging: reviewing one’s life and expecting it to be less than that of many of the things she observes. As always, she is without affect, but with allusion. Thanks for your review.